Over the coming months, a strong focus around training and education for Vow is seeking more training and support around both product and understanding of lender points of differences in the market. If you are considering a stronger focus this new financial year, the timing could not be better. The Commercial Masterclass proudly sponsored by Vow Financial will be rolled out in Brisbane on Thursday 19th July, Melbourne 24th July and Sydney 26th July make this a priority to register on the link below. You will hear more around what lenders seek inputting a credit submission together, financial analysis along with a better understanding of Residential versus Commercial Lending. Many lenders will have trade stands including our group promoting their services. Three events will be taking place in July in Brisbane, Melbourne and Sydney. Following the success of last year's Memorial Day, committee and event organisers are determined to make this year's event bigger and better. Event sponsors include Suncorp, Westpac, ING and Vero with Vow substantially donating to the event. All proceeds from the day will go directly to the Cancer Council. This day is open to all so please invite clients, friends, associates and family to have a swing and putt, while raising funds for a much needed cause. Entry is $100 per person which includes lunch, green fees and a donation to go directly to the fundraiser. Can you please register your interest by contacting James Aitchison j.aitchison@premiumbroker.com.au. More details about the event are available on the flyer, download flyer here. For a complete outline of interest rate changes please refer to the attached flyer. The Economy OO P&I campaign is continuing. The discount to the reference rate is being increased to maintain the same final customer rate. To support the current campaign offers, special rates are also changing as below, resulting in some final rates increasing, some decreasing, but most with no change. Construction loans: the discount (see discount column) is applied to the construction and post-construction phase of the loan. If reference rates move before the conclusion of the construction phase, the final rate listed above may differ. Effective Monday, 2 July 2018, BOQ will be increasing the below retail lending reference rates, across both new and existing customers. 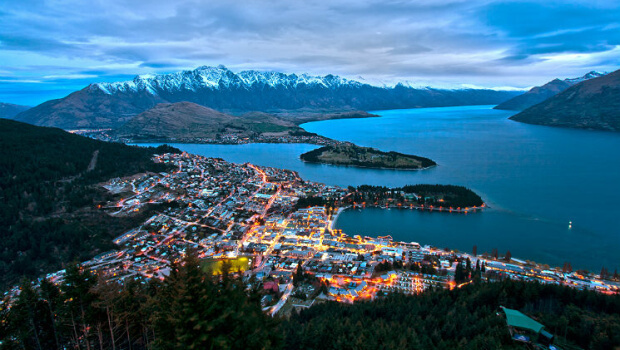 The early bird rate for the Vow Conference in Queenstown in September has now been extended until the end of July. Speakers are soon to be announced and you won't be disappointed on how valuable this conference will be to each of you and your business. Also, we have the Vow Professional Development Days coming up. These are integral for Learning and Development and we encourage you to register in your state now. We are now in a position to consider applications up to a loan to value ratio (LVR) of 90% (including capitalised lenders mortgage insurance (LMI)). The relaxation of LVR is applicable to owner-occupied and investor home loans only and excludes construction loans and where the borrower decides to make interest-only (IO) repayments. The maximum LVR for excluded home loan products remains at 80% (i.e. for construction and IO loans). We have reinstated all home loan interest rate discounts (up to 90% LVR), excluding construction loans. A new interest preferential rate giving 97 basis points discount on the reference rate for a value loan (DHOAS and non-DHOAS) is now applicable when the home loan borrowing amount is greater than $500,000 and where the LVR is less than 60%. Therefore, taking the interest rate to 3.90%. This special rate excludes the benefit of an offset account. The new preferential rate of 3.90% for eligible borrowers excludes the benefit of an offset account. A flyer has been developed to issue to any applicable members. This can be found here. IMPORTANT - any issue of the DHOAS/Non-DHOAS Value Home Loan 'Special' flyer must be issued with the relevant Home Loan product brochure. So in the store, you would print this and hand to the member with the relevant printed product brochure (DHOAS Home Loan or Home and Investment Loans Brochure). Electronically you would send the .pdf with links to either DHOAS Home Loan Brochure or Home and Investment Loan Brochure. The negotiation of rate calculator has been updated and is also available here. The Resi team are excited to announce a couple of important product updates for you. Firstly, the Resi Renew near Prime special offer has been extended until the end of July. Specialist lending and especially "Near Prime" is the fastest growing segment of the marketplace demonstrating growth when other categories are flat-lining at best. With a new direct processing approach for the Resi Renew - Restart range, we offer pricing that matches or undercuts Pepper retail while we have retained our no risk fee pricing approach for lower LVR lending. A reminder of the current special offer is detailed below for you. * For non-standard applications, prestige or multiple security deals, some fees may be payable. Next, we would like to announce a Special offer for our Resi Smart Pro Loan. For new applications received up to the close of business 26th September which settle before the end of the year, we will waive the standard valuation fees as well as the $120 annual fee for the life of the loan. The only other condition is a minimum loan amount of $250,000 applies. A copy of our latest rate card can be downloaded here for your reference. James Henderson has joined as the new Business Development Manager for Vow Financial. Previously working as a Lending and Banking Specialist with Macquarie Bank and a Senior Member of their Broker Support team, James has close relationships within the industry and will bring a wealth of knowledge and experience to the team. We welcome James to the team! 1 July is an important date for the property sector throughout Australia as it is the start of a new financial year. Millions of people throughout Australia will be visiting their accountants after this date to submit their tax returns for the previous financial year. For property investors, it is a time when they should fully maximize their tax deductions related to depreciation. DEPPRO estimates that a majority of property investors do not fully claim their legitimate depreciation benefits and collectively miss out on millions of dollars in tax refunds. For a new property, these tax deprecation benefits can account for up to 60% of the purchase price of a property! The amount that can be deducted depends on the age and value of the building but it is varies between 2.5% to 4% of the capital works value of the building each year. An investor can claim these tax benefits by using the services of the tax depreciation specialist called who prepares a tax depreciation schedule. A depreciation schedule is a report undertaken by a quantity surveyor company (such as DEPPRO). It generally should be undertaken when the investor buys the property. The quantity surveyor produces a tax depreciation schedule for clients which is a physical snap shot of the property. For example, DEPPRO sends out a staff member to the client's property and they fill in a report and take pictures of the property to estimate depreciation benefits. This on-site inspection report is critical in ensuring that the tax depreciation report is compliant with the strict Australian Tax Office (ATO) requirements. Depreciation claims which are not based on an onsite inspection could result in huge ATO penalties for the investor. Therefore, if you are getting a tax depreciation report prepared by a depreciation company like DEPPRO, the very first question you should ask is whether the report will be based on an on-site inspection. Even if an investor has owned an investment property for several years and not claimed depreciation benefits, they can still claim them retrospectively with a depreciation report. The cost of a depreciation report is prepared by DEPPRO and costs around $600. This report is tax deductible and covers the lifetime ownership of the investment property. Click the following link deppro.com.au and complete the details to ensure your client receives a higher return on their cashflow. The Mortgage Industry Forum was put together by fourteen mortgage brokers whose goal is to have their voice heard by the various government enquiries that are currently being conducted. We are working with the Combined Industry Forum, lenders, aggregators and industry bodies to make sure that the point of view of mortgage brokers who work in small businesses have the opportunity to have their opinions considered in current discussions. You will see us speaking at upcoming PD Days and in the industry press, and more information is available on our Facebook page here. To gain more traction we need to be able to show that we speak for a large number of mortgage brokers, so have put together a short questionnaire that you can complete to show that you agree with our core principles. Our goal is to get as many questionnaires as possible completed showing support - this will give us a strong base from which to make our voices heard. Please join us in representing all mortgage brokers by liking and sharing the Facebook page, and most importantly by completing the questionnaire.